Is Your Vehicle in Need of a Wheel Alignment? Wheel alignment can help ensure your vehicle’s tires perform smoothly and safely, and last longer. A good wheel alignment could also make your vehicle more stable, improve handling and prevent unwarranted vibrating. Some drivers have a misconception that wheel alignment means adjustment of the wheels or the tires. It does not. It is about adjusting the vehicle’s suspension system (which connects the vehicle to the wheels). An expert technician can adjust the tires’ angles to ensure they make a perfect road contact. This is something all drivers should strive for. It does not matter if you only drive the speed limit. How to Tell When You Need a Wheel Alignment? The tire’s outward or inward angle when seen from the vehicle’s front is known as camber. If the tilt is drawn too much outward, it is called positive camber, and if it is too much inward, it is a negative camber. Either of these concerns means that your vehicle requires adjustment in its wheel alignment. Wheel suspension parts like ball joints and bearings may contribute to a misaligned camber. If the wheel is perpendicular to the road surface, it is called zero camber (the camber is 0 degrees). More even tire wear will occur with zero camber. The degree to which the vehicle’s tires turn outward or inward when seen from above (a bird’s eye view) is known as the toe angle. Having a correct toe angle is critical to wheel alignment and even tread wear. If the tires point outward or inward, they will scrub against the road surface, which will result in tire wear along the edges. Both toe-in and toe-out alignments will require adjustment. Caster is the angle that is created by the steering wheel’s pivot point from the vehicle’s front to the back. If the line is angled backward, caster is negative, and if it is angled forward, caster is positive. The caster angle is vital to balance the steering, improve the vehicle’s stability, and add to its cornering ability. In this condition, the outside and inside of the tread gets worn out much more than the center of the tire tread. This strain of tread wear is caused due to negative or positive camber. This means that the vehicle’s tires are “feathered.” In other words, the tread is sharp on one side and smooth on the other. Feathering typically occurs due to a misaligned toe angle. This kind of wear occurs when one side of the tire’s tread wears down faster than the other in a sort of circumferential direction. If you run your hands over the tread block, it will seem like saw teeth when seen from a side. Toe or heel wear could sometimes indicate under-inflated tires and a lack of tire rotation. If you notice one of the unusual patterns of tire wear discussed here, you should immediately get your wheel alignment checked from an expert automotive service provider. Many people want to keep their wheel alignment in order to prevent early tire wear, but its role extends to the overall safety and performance of your vehicle. It is also important to note that wheel alignment is often performed together with wheel balancing. Both are distinct from each other, and wheel balancing is the task of compensating for any weight imbalances in the wheel and tire combination. 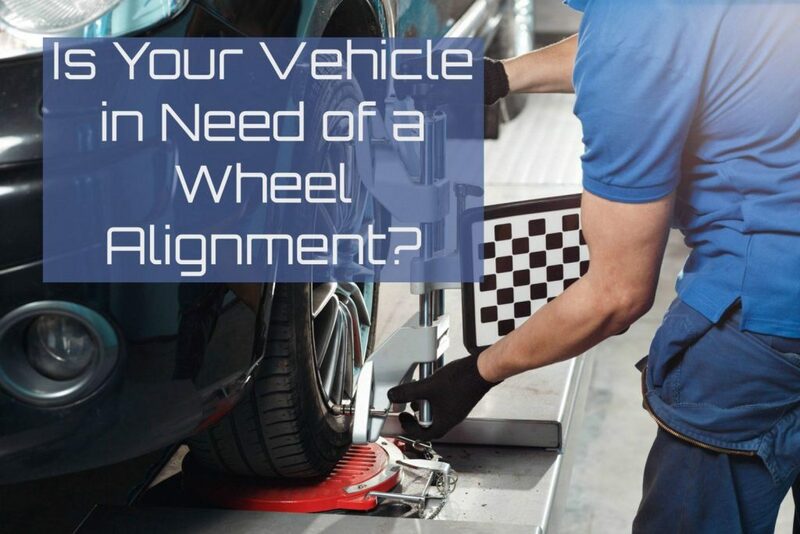 If you are looking for a wheel alignment service or any other type of assistance with your vehicle, get in touch with us at Accurate Service in Tucson, AZ. Call us now at 520.441.4744 or schedule your appointment online.